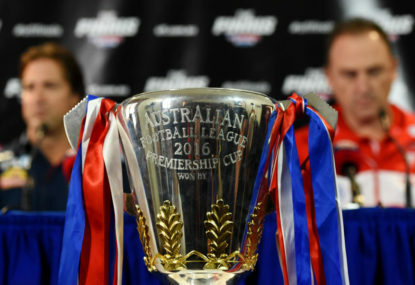 The final teams are confirmed for the 2016 AFL Grand Final, with both the Sydney Swans and Western Bulldogs sticking with the same 22s which were named on Thursday. The absence of any late changes means both Jarrad McVeigh and Callum Mills will make returns from injury for the Sydney Swans in this match, although neither of the two were expected to pull out late before the game. The Western Bulldogs also faced a tough decision as to whether or not to keep Jordan Roughead in the side after he had an incidence of blood in his eye in last week’s match. However, Roughead has been medically cleared to play by the Bulldogs staff and is set to take to the field as planned. Both teams to have the ability to make a late change and bring in one of their emergency players if someone suffers an injury in the warm-up but, barring that, this is how they’ll line up.